Painful personal experience has spurred a University of New England researcher to develop a new, more accurate diagnostic test for coeliac disease, which he hopes will spare others delays and discomfort. Lecturer in Biomedical Science, Richard Charlesworth, was diagnosed with the disease himself at age 15 and has been working for the past five years to improve the speed and accuracy of diagnostic tools. His test, relying on gene expression and the use of a computer algorithm, has achieved 95 per cent accuracy in a small pilot trial and he hopes it may be used as a companion to traditional tests in the future. Coeliac disease affects about 1% of the western population and its prevalence is on the rise. It causes symptoms such as abdominal pain, bloating and diarrhoea, and if left untreated can lead to anaemia, hair loss, weight loss, infertility and osteoporosis. Although up to 30% of people may carry the genes for coeliac disease, not all will go on to develop it. In people with coeliac disease their immune system reacts aggressively to the gluten protein in wheat, wheat and rye. In an effort to rid the body of this gluten, the immune system inadvertently destroys the lining of the small intestine. Richard believes his test could be applied to improve the diagnosis of similar intestinal complaints – like Crohn’s disease and irritable bowel syndrome. “We are looking at 87 genes of interest in coeliac disease but some of these genes are involved in other inflammatory pathways, so, in time, I would like to run the same tests on patients with different conditions,” he said. For now, however, Richard is planning a larger trial and will continue to refine the test with an eye to commercialisation. Next month he will also attend the national final of FameLab, an international science communication competition organised by the British Council. 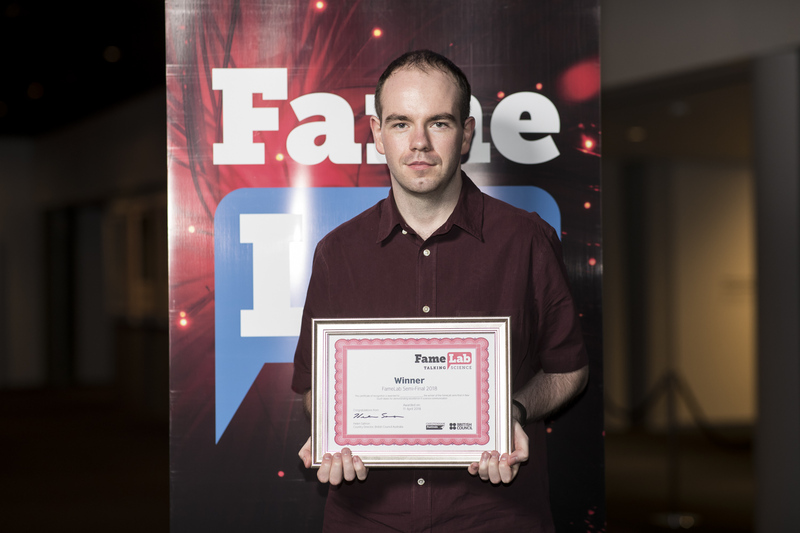 His presentation on the coeliac disease work was last week voted the best in NSW at the FameLab semi-finals judging in Sydney. The scientist chosen to represent Australia on 10 May will compete at The Times Cheltenham Science Festival in the United Kingdom in June.